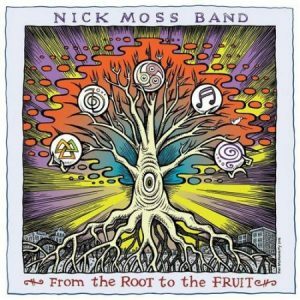 Bandleader Nick Moss delivers a two-CD package that serves up a double delight: As the title implies, one disc is chock full of old-school Chicago blues, while the other remains true to the root while delivering a package of music aimed squarely at the younger generation. The last student of guitarists from the golden age of Windy City blues — Nick played behind all-time greats Jimmy Rogers, Jimmy Dawkins and others in addition to serving two years in the Legendary Blues Band before going off on his own, Nick fronts one of the most rock-solid bands in the industry, a gifted, fun-loving unit that’s more a family than most musical organizations. 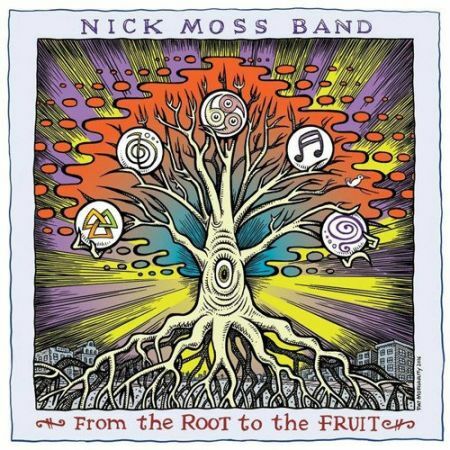 Moss is backed here by Mike Ledbetter on second guitar, Taylor Streiff on keyboards, Patrick Seals on drums and Nick Fane on bass. This release is Ledbetter’s swan song as a regular member of the band. An exceptional vocalist and songwriter as well as former professional opera singer, Mike still appears with them on occasion, but now splits his time fronting his own unit when not touring with Monster Mike Welch in a partnership that’s quickly becoming a fan favorite. Rounding out the sound are guest appearances by harmonica giant Jason Ricci, horn wizard Sax Gordon and David Hidalgo, the six-string master whose credits include Los Lobos, Los Super Seven and the Latin Playboys. Tina J. Crawley and Lara Jenkins contribute backing vocals on four cuts. Only three of the 27 tunes here are covers, with eight penned by Ledbetter and 16 by Moss. Disc one, entitled “Roots,” kicks off with Mike’s “Before The Night Is Through” and “Make Way For Me.” The loping opener features Nick’s single-note guitar runs, the second a medium-shuffle pattern with a strong traditional feel. Moss takes the mike for “Dead Man’s Hand,” featuring Streiff, before the cover tune, “From The Root To The Fruit,” a tune with double meanings and strong sexual innuendo. Moss shows off his harmonica skills on that one, too. Old-school blues fans will love Ricci’s harp lines on “The Woman I Love.” They’re stripped-down and free of the pyrotechnics that normally color his play. The slow-blues “Walk Away” features Streiff and Moss as Ledbetter warns an untrustworthy woman that he’s about to leave. “Cold Sore,” an interesting instrumental with a rapid-fire, but well-controlled rhythm pattern, brings the side to a close. The funk returns big time for the keyboard-powered “Ta Ta For Tay Tay” before a sweet seven-minute ballad, “Breathe Easy,” featuring another stunning Ledbetter vocal. Moss is back in charge for “Free Will,” a trippy number about being impervious to change. It features a Hidalgo guitar solo. The rocker “Grateful” is up next before “Shade Tree,” a vivid description of society’s change — and not for the better. The funky “Stuck,” about being tested by a woman who insists she be trusted, leads into the bluesy “Stand By” before the soulful “Speak Up” urges folks to let their voices be heard in a troubled world, while the tasty instrumental, “Heavy Water,” brings the set to a close. Available through most major retailers, From The Root To The Fruit delivers on all counts no matter your taste in the blues. Strongly recommended.